I have 3 users in Univention that have been tagged as Mattermost users. 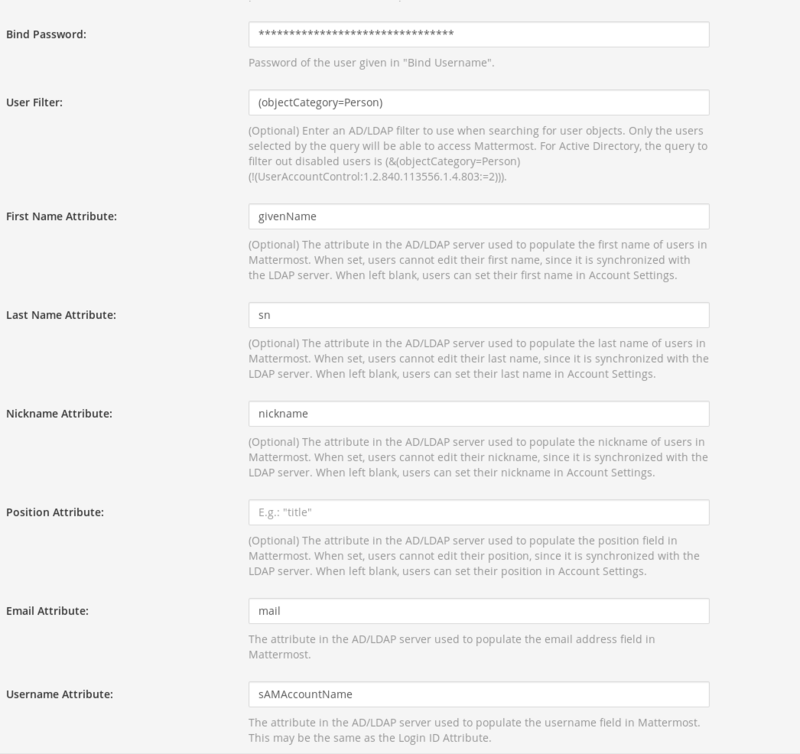 When I do an AD/LDAP sync via Mattermost, it pulls in a single user only. That user cannot login to Mattermost. Does anyone have this running? Is it working for them? I heard of a similar report already, but did not yet have time to dive deeper into this. At the moment I unfortunately do not have a valid license at the moment. Maybe the folks over at https://forum.mattermost.org/ have an idea what could be wrong. Thanks for the response. I looked at those pages already, but didn’t want to change too much of the autp config. I’ll be working on that now. I have a support ticket in with them as well, so we’ll see where that goes. 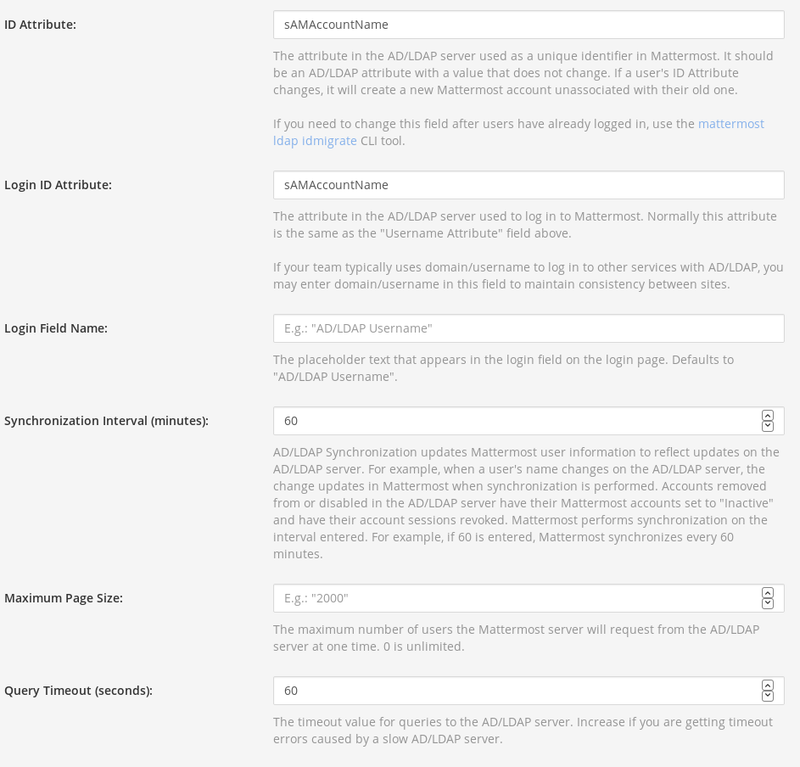 I changed the LDAP settings to what Mattermost recommends, and everything works fine. I lose the Univention Mattermost flag, but that’s not an issue here. To the benefit of others: these recommendations are? This lets everyone in my domain login. hm… with a more simple user filter my Mattermost (version 5.8.0) crashes now. I reached out to my mattermost contacts to get behind this. and ldap is working, but users cant login? Sorry. All I know is that my setting above work for me. Everyone from my domain can now use Mattermost. seems i need a license for ldap! That’s correct. 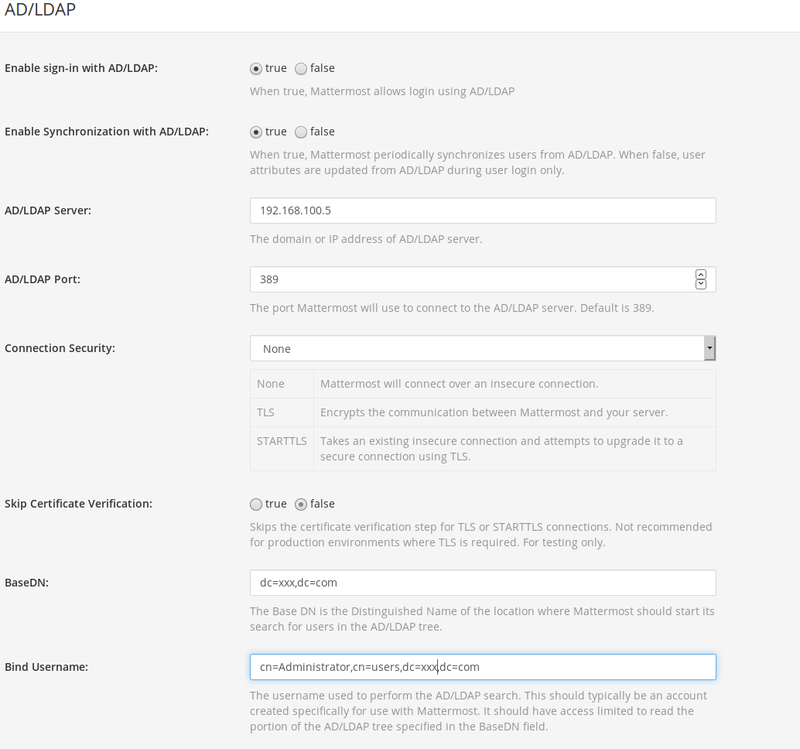 The LDAP integration of Mattermost is one of the paid-only features. See this page for a full feature comparison between the three editions. The app description mentions this as well. Including a link to request a trial key.